Start taking classes at Salted Cycle and other studios! This class is a guided indoor cycling experience that uses upbeat music to achieve ridiculous results. This class is perfect for the fitness enthusiast, recreational cyclist or serious racer. All levels are welcome. Connect your heart to your mind, your mind to your body and your body to the ride. There are no upcoming “SALTED” classes on this day. Give yourself a little extra time and arrive 10 minutes before your ride. Once you arrive, they've got you covered. They’ll find your perfect fit in cycling shoes and get you all set up on the bike before class begins. Have your own indoor cycling cleats? Salted bikes are compatible with SPD and Look Delta cleats. 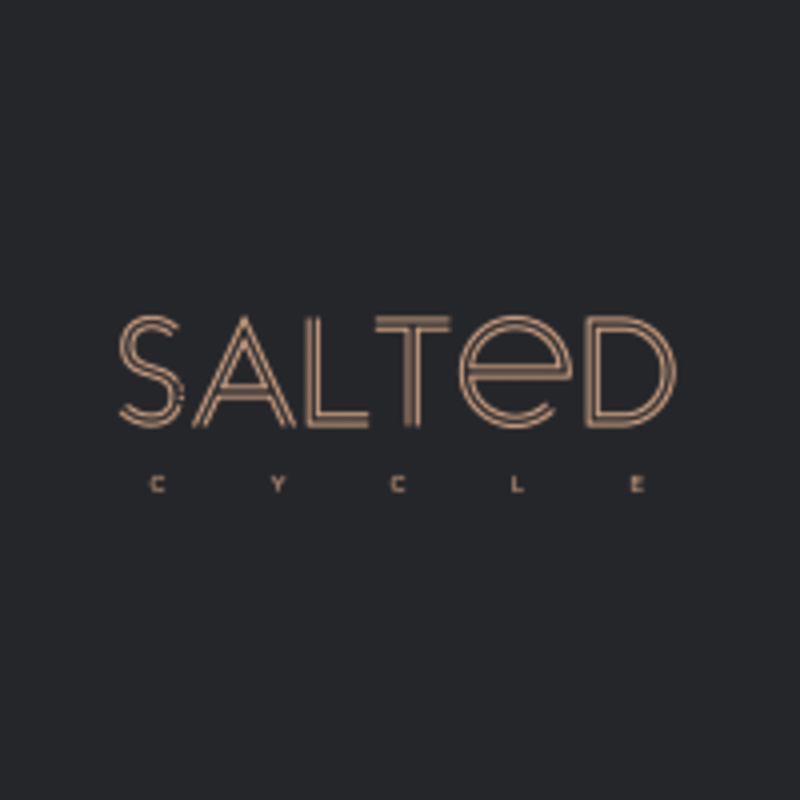 Every new cyclist at Salted will need to sign off on the legal stuff and provide their contact information prior to their first class. Change rooms are stocked with fluffy towels and toiletries to have you feeling fresh throughout your day. Located in the heart of the Lower Lonsdale community in North Vancouver, BC 113 West 2nd Street Roll on up to the studio with many options to park your ride. You'll find free one hour parking street side all along the Lower Lonsdale area. Or park in the impark lot conveniently located right below the studio. impark rates are $2.50 per hour. Bike racks are located right outside their studio doors. Cramped studio. Music was way too loud and they didn’t have ear plugs. Loved Jaci’s class! Great sweat, super uplifting. Really liked Jack as a teacher! But I was not a fan of the music being played. I do spin classes all over the north shore and thought I would give Salted another try after thinking the same thing last time. Nonetheless the studio is very welcoming! The energy was epic! The music was upbeat and the dimmed lights set a great mood. Intense but the class can be as difficult as you want. Such an amazing class!!!! So upbeat and such a good workout! Great class. Hard to hear the instruction though. Should improve voice audio over speakers. Nobody motivates like Becky. Yeow! Best CLASS ever! I love Sara’s classes!